A new software tool can help fishers locate the most productive fishing spots while avoiding unwanted or protected species such as sea turtles and dolphins. Worldwide, fishing fleets discard as many as two of every five sea creatures they catch. The new system, called EcoCast, combines satellite data of ocean conditions, records from fisheries observers, and species tracking data to pinpoint ideal fishing areas on a daily basis. Resource managers can adjust the weighting of each species as risks change and the fishing season progresses. This helps fishers optimize their harvest of target fish, while reducing the risk of inadvertently catching and killing sensitive species. A new study, which appears in Science Advances, shows that this type of dynamic management tool and approach can be up to 10 times more efficient for protecting species than previous management styles. 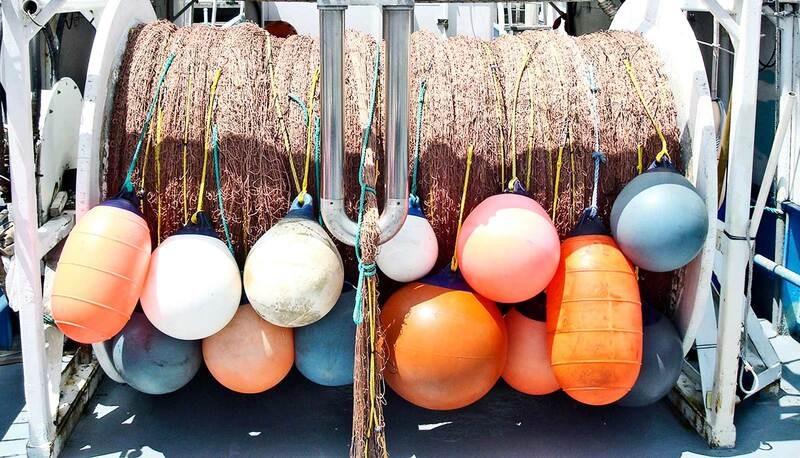 Fisheries managers currently protect species by creating static areas that fishers must avoid. However, these protected areas don’t reflect the dynamic nature of life in the ocean, where protected fish and other creatures regularly migrate out of the no-fishing zones and into fishers’ nets. EcoCast doesn’t just provide fishers with better information. It also informs scientists, resource managers, and researchers working with big data to advance more sustainable fisheries practices. “By pioneering a way of evaluating both conservation objectives and economic profitability for sustainable US fisheries, we’re simultaneously advancing both conservation and economic objectives,” says lead author Elliott Hazen, a visiting scholar at the Stanford Woods Institute for the Environment. Researchers from San Diego State University; the University of California, Santa Cruz; the University of the Sunshine Coast; Old Dominion University; the University of Maryland; and Moss Landing Marine Lab are coauthors. NASA, California Sea Grant, and the National Oceanic and Atmospheric Administration funded the work.